BRAND-NEW 2019 Hurricane SD 2486 OB with Reliable Yamaha Power!! Current Financing Promotion: 5.99% APR for 144-180 months on eligible new boat purchases, for qualified customers only. This New 24 foot SunDeck offers the comfort of their famous SD2400 along with added elegance and options that were previously only available on a 2690. This boat comes fully equipped with a 7" Chartplotter, so you will be ready for boating on Day 1! This boat/motor package is BRAND NEW! This boat has never been registered. Our 5-Star Service Department has completely rigged the boat for delivery (fuel, battery, etc) and completed the pre-delivery water test - this boat is ready for you to turn the key and enjoy boating! FULL FACTORY WARRANTIES START THE DAY YOU PURCHASE THIS BOAT! Feel free to visit us at our West Palm Beach, FL location and see this boat in person! A New Tandem Axle Aluminum trailer is available for purchase for $4,500.00. A trailer is not included in the price of the boat. 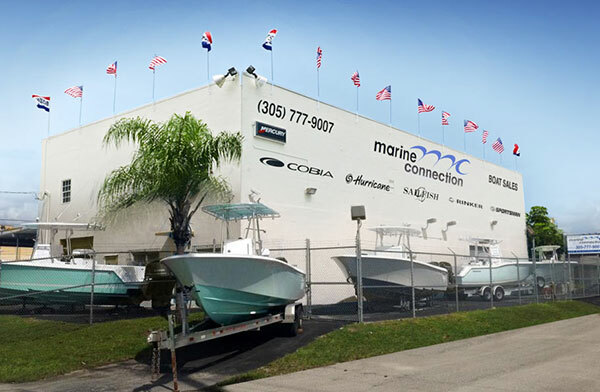 As South Florida's largest boat dealership, we receive volume discounts from new boat manufacturers and are able to offer unbeatable prices to our customers. However, manufacturers have asked us not to display these unbeatable prices online... therefore we ask customers to call us for pricing information on new boats.